The Nordic teams who are competing for Nordic Barista Cup 2012 are being gathered and we are proud to present the 5 Nordic teams: Finland, Sweden and Denmark, Norway, Iceland. There are also 5 Kenyan baristas present. Kenya is the 2012 focus country. 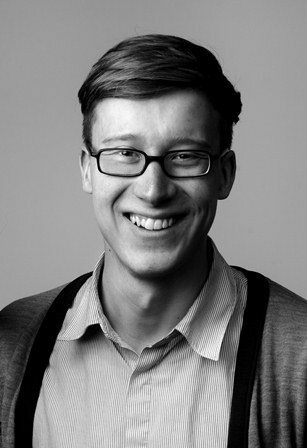 As a part of the 2012 team competition all 5 Nordic teams will be joined by one Kenyan barista on their team. The Kenyan baristas now know which team they will be on. You can see it below. Read more about the 2012 team competition here. With a career spanning over 8 years in coffee, I have had the privilege to work in various positions in the coffee industry which has exposed and helped me gain a wealth of coffee knowledge and skills with a bias in barista training. I am currently a SCAE certified Barista Trainer running various barista training programs – at the first of its kind barista school in Kenya and my love and passion for coffee still lives on. Thor, sometimes called Þórhallur Hafþórsson: crisp acidity with a fruity finish. I am best known for posing in a slow brew poster for Kaffitár, well…at least my hand is on it! My aim is to make good coffee every time rather than endlessly search for the perfect cup. Never forget, don´t take the fun out of coffee. I am a barista at Kaffitár and studying to become a tailor. I push the door open and aromas of coffee welcome me in the early hours of a very ordinary Monday morning. The regulars are already sitting in their seats in the corner talking politics. Girlie-girls order iced coffees and coffee enthusiasts ponder over slow-brews. Stressed out lawyers and business types wait impatiently for their lattes as I tie an apron around my waist. Yup, we make people tick. 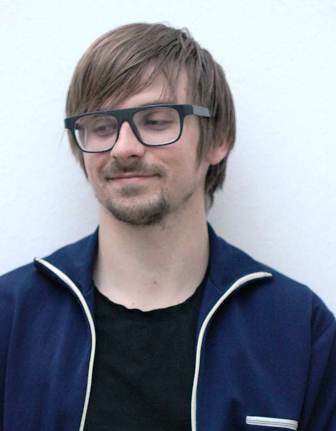 I am a barista at Kaffitár and a student of music. 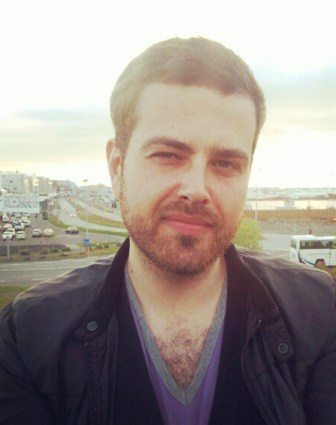 Gunnar Helgi Guðjónsson: tall, dark and full bodied. 15 years old. Watching some lame 90´s films with my best friend. Starting to get pretty tired. Coffee? Yes. Lets make some. Ok. Very strong, horribly tasting, loads of sugar added. I do not remember the film but the coffee skills have improved a bit. 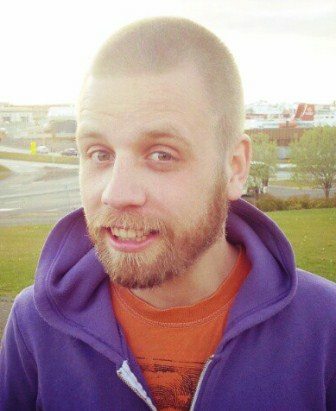 I am a barista at Kaffismiðja Íslands and a visual artist. I started my career in coffee in 2006 when I joined the coffee shop at Nairobi Serena Hotel arguably, Kenya’s leading hotel. This was after being a waitress for a couple of years. In that same year, I competed in my first Kenya Barista Championship. At the knockouts I was placed second and proceeded to semis then to finals where I emerged fourth with the best presentation. I took a break and competed again in 2011 and was first in the knockouts and went all the way to finals where I was placed third with the best presentation. 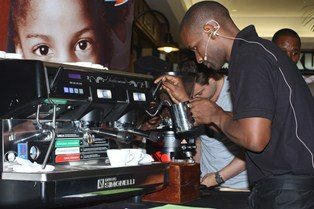 This year I won the Kenya Barista Championship. 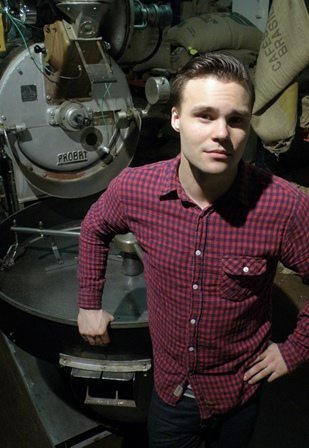 Finnish Barista Champion 2012: I’ve been taking coffee dead-seriously since 2007. Although I’m now getting paid occasionally I still consider myself as a home-barista and a coffee enthusiast. My greatest achievement so far is making coffee for John Malkovich. Besides coffee I’m interested in: resisting change, polishing shoes, backpacking and country music. I’ve been working with coffee for about three and a half years now. I first became interested in coffee when living in New Zealand. After a half-day barista course there was no way back. I began hanging around at Kaffa Roastery, a micro-roastery, and helping for coffee pay – a few bags for a day’s work. When Kaffa Roastery moved to a new location in Helsinki I was hired as a barista in their coffee bar next to the roastery (this time they even paid me). Working with freshly roasted speciality was all I wanted to do then. But after a while I started thinking that I could learn even more somewhere else. Last summer I went to Stockholm for a while to work at Johan & Nyström, roastery that’s somewhere between the small ones and the big ones. I tasted freshly roasted coffee a little more than three years ago for the first time. At that very moment I decided to start working with speciality coffee. First as a roaster’s assistant at a Helsinki-based micro-roastery Kaffa Roastery being one of the first employees there back then. At that time I trained myself some barista skills so that I could work as a barista at the same roastery/coffee bar. After working as a barista for a year I began to roast coffee. I read a lot, cupped a lot and roasted a lot. 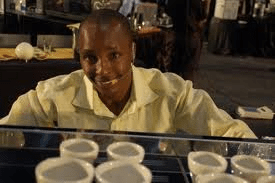 At the same time I began to train baristas and do quality control and product development. And I was had the honor to train the baristas to the first syphon bar / café of Helsinki, Fratello Torrefazione and also work there for a while. Currently I’m back in the roasting. 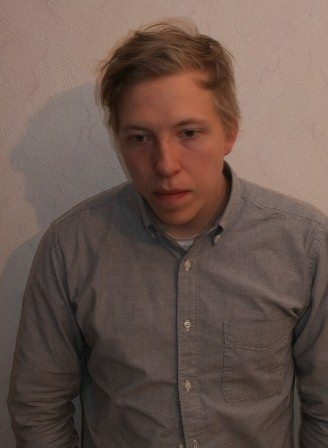 In November 2011 I won the Finnish Brewers Cup, so I’m going to compete in Vienna this summer in the World Brewers Cup. My name is John Muli. My Barista career started at an airport coffeeshop run by Nairobi java house. 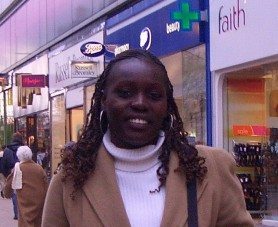 In 2007 I entered my first Kenya Barista Championship and won. It was a miracle; I won the competition for three years consecutively 2007, 2008 and 2009 before retiring. I joined C. Dorman Limited in 2008 and have expanded my career in Baristaship. I am certified Q grader and working on to be a roaster master and have coached several champions. I grew up in the small village called Sopramonte close to the Gardalake in northern Italy. Seven years ago, while I was studying sociology, coffee caught my attention and changed my life. In 2006 Sebastian Ryberg and I founded the company Fogarolli. Our vision was to take good coffee to the people at various events and happenings and serve it from mobile espresso bars and professional baristas. I feel best working as barista at big events where I spread my enthusiasm for coffee to my customers. I’ve worked with coffee for the last five years. Together with my wife Eva I run Åre Kafferosteri. A specialty coffee roaster. We also run a small coffee shop in the ski town where we live. I do everything from roasting coffee to working in the coffee shop. 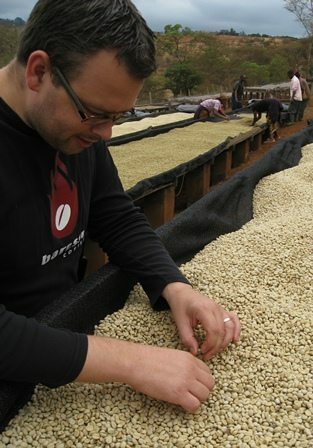 I’ve also been an observer at the Cup of Excellence competition in Guatemala in 2011. 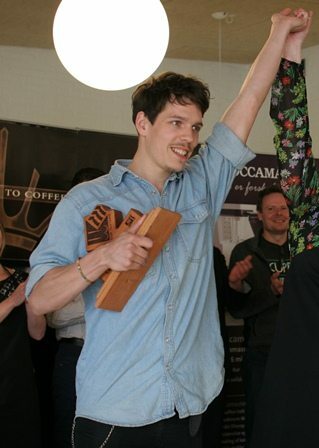 This year I won the Swedish Barista Championship and will represent Sweden at WBC. I’m educator for the roastery Johan & Nystrom. I hold courses in espressobrewing, coffee brewing and tea. I really love to communicate the world of specialty coffee. To show the passion to this culture and make people understand how nuanced and amazing this part of the coffee world is! I have workd with coffee professionally for about three years. I’m also in to art, I think it’s good to balance the work with coffe with the art. My latest origin trip went to El Salvador and Nicaragua. It was amazing to finaly see the origin of the coffee, so inspiring! My favourit brew method is the Aero Press,. You can really bring the best out of the coffee with this genius thing. 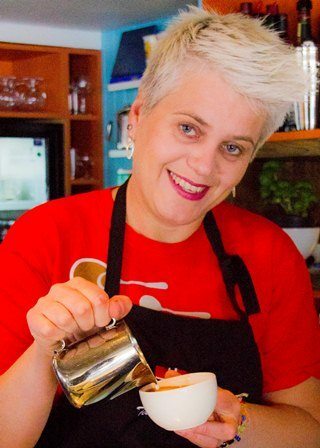 I am a barista by profession with 12 years’ experience. I joined Dormans Coffee Limited in 2003 as a barista and have loved coffee since then. I was the Group Head Barista at Dormans Coffee Limited from 2005 to 2010. 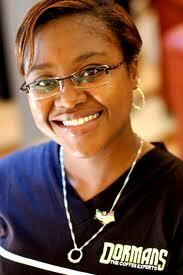 Currently I work as Head Barista at Sankara Nairobi, a leading five star boutique hotel. I have a passion for brewing coffee and was 1st Runner-up at the 2012 Kenya Barista Championship and the current champion in latte art. Working for Dromedar Kaffebar the past 2 years, now as manager for one of Dromedars stores (Nordregate). Very interested in black coffee and brewing! Became 2012 Norwegian Champion in Brewers Cup. 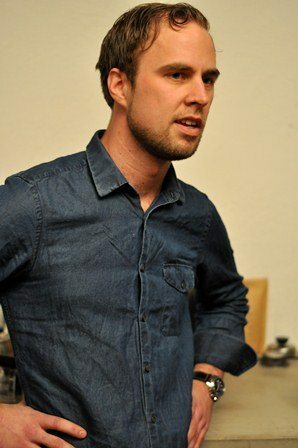 Rasmus Helgebostad is the Norwegian barista champion of 2012. An NBC veteran, he was on the team in 2006, 2007, 2009 and 2010. He was also the norwegian cuptasting champion in 2006, 2008 and 2009. 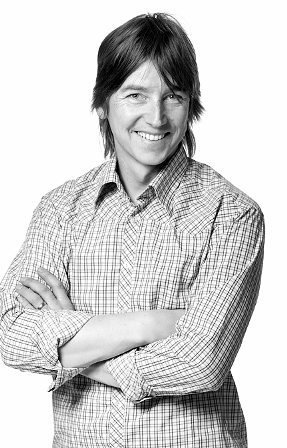 He currently manages Stockfleths’ new shop in Gamlebyen, Oslo. 25th of November in 2005 I opened my coffeeshop called Kaffikari. I knew nothing about coffee. The only coffee I would have was a mocca with a single shot. But I did not take long before I got addicted to coffee. I have trained all of my staff, and in 2008 we started to compete. 2009: I arranged RM and came 1st. I did not have time to compete in NM. 2010: I arranged RM again, but none of my baristas competed. I judged here and in NM as a technical judge. 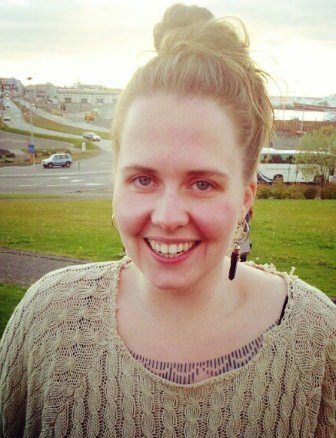 2012: Member of the SCAE board Norway. Competed in Latte Art and came 1st. I also trained the barista that came 2nd He came 10th in the barista championship. 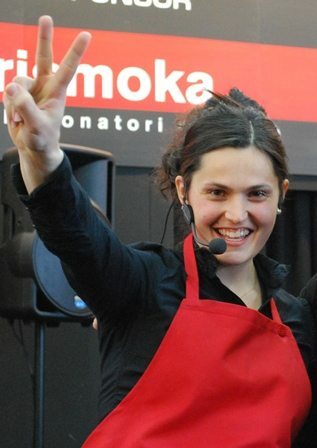 I am Catherine Maringi Senior Barista by profession and have grown up in a coffee growing family. I got interested in coffee early and would drink traditional coffee in the morning for breakfast growing up. My journey in the coffee industry started in 2003 when I joined a coffee house, worked as a barista and my passion developed since until to date. I trained on the job which was challenging and later developed it as a career. 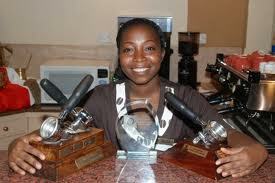 I am proud to be the 2011 Kenyan Barista Champion and a ‘Coffee Ambassador’. I live in Aalborg with my boyfriend and I work in a small (and very cozy) coffee-bar called Behag din Smag. 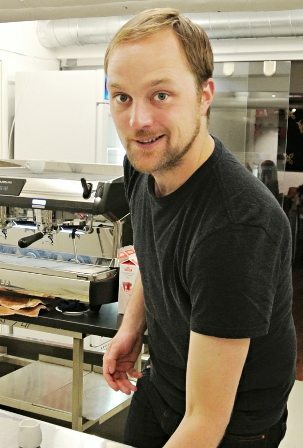 I’ve worked as a Barista full time since I started in February 2011. Before I started my job at Behag din smag I had no experience with coffee what so ever. I thought that coffee was just some dark bitter substanse that mostly came in “instant” versions that would need lots and lots of sugar to taste remotely good. 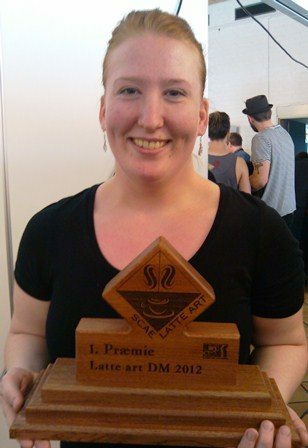 This year I won the Danish Latte Art Championship. So through my journey so far I’ve learned a lot of things and I’ve also grown as a person in the process. In my spare time I enjoy a variety of things like painting, reading, cooking, video-games, going to the cinema, eating out, a fun night out in town or a cozy evening at home with my family and/or friends.